So, as most of y'all know, the DS is my favorite system. Of all time. This generation was, for me, defined by Nintendo's quirky dual-screen handheld. The wealth of quality software, unique and innovative ideas and (thanks to the DSi) cool accessory features, the DS will remain as my top pick for 'most favorite hardware' for at least the foreseeable future. I love that thing. It's brought so much to me this past generation. The DS ushered in the first time Nintendo games have been officially online. 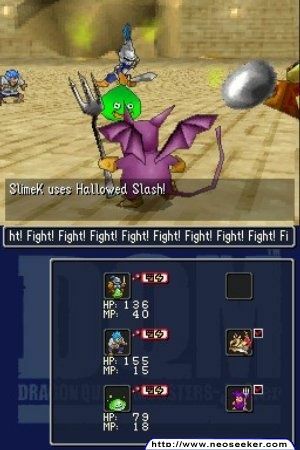 The DS hosted the most robust and high-quality 3rd-party support Nintendo has seen since the SNES. 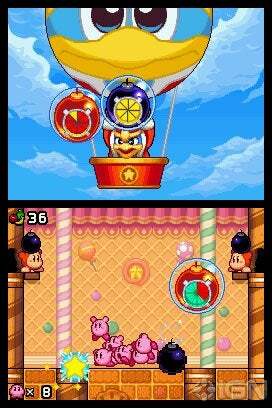 And the unique design offered new ways to play old games, as well as introduce brand new ideas and even new genres. It's been an amazing six, going on seven years. 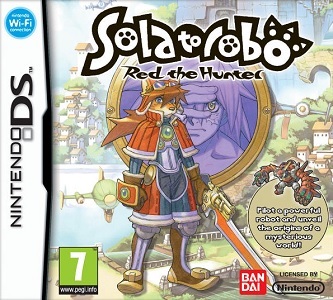 I'm pretty sure this was the first DS game released this year, and it's a great one. Casual-friendly, yet intriguing and fun enough to pull in more serious gamers. I'm not sure how PopCap figures out this fantastic formula to literally appeal to EVERYONE, but man. They know how to to do it. And they do it well. This game came out at retail, but it's also available as a downloadable on DSiWare for those that have a DSi or a 3DS and don't want to buy the cartridge. One of the first games released in 2011, Capcom delivers one of the best point-and-click "action" games from the Shu Takumi, the designer behind the acclaimed Ace Attorney series. The game features beautiful stylized graphics, smooth-as-butter rotoscoped animation, and an intriguing, humorous, entertaining story. This game shows that designers still have some unique and brilliant ideas for the aging hardware. The hits didn't stop there. Square-Enix delivered another entry in the Kingdom Hearts series on the same day as the above-mentioned Ghost Trick. Featuring all the action-RPG elements the series is known for, as well as elements from Birth By Sleep, 358/2 Days and the original Kingdom Hearts: Coded, this game came up big for gamers and Disney fans looking for something they could really sink their teeth into. Great graphics, tight gameplay and an all-new FMV ending that ties in with the upcoming 3DS title, Kingdom Hearts: Dream Drop Distance, this game had it all. 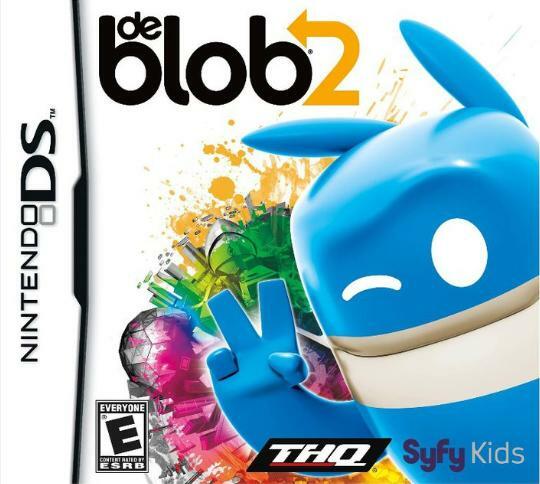 de Blob 2 hit the DS in February this year, and offered a "bridge" story line that connected the events from the original game on Wii to the console sequels on Wii, PS3 and 360. 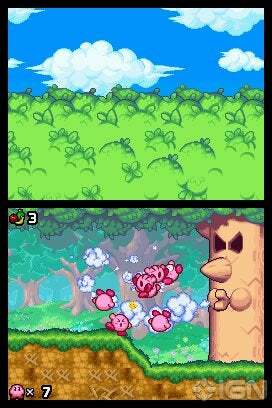 It was a charming, 2D action-platformer that brought everything the game (series?) is known for to the portable... with the exception of any kind of real challenge. Despite this game being a walk in the park, it was charming and entertaining as ever. I actually even wrote a review for the game, which you can check out by clicking RIGHT HERE! 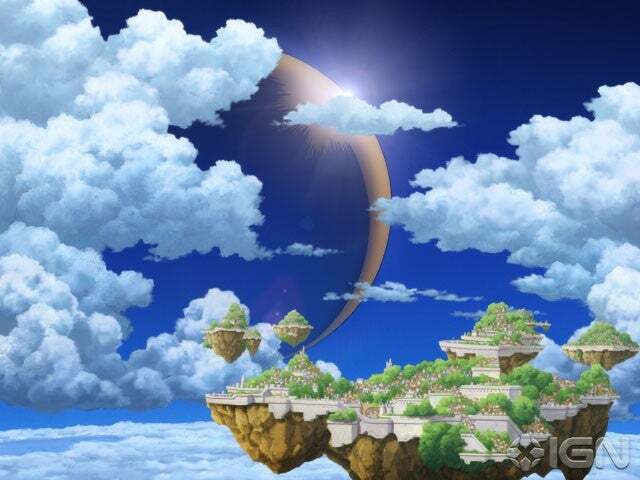 In a sweetheart move, Nintendo published the Square-Enix developed game; DragonQuest VI: Realms of Revelation on Valentine's Day, 2011. Admittedly, I haven't gotten around to playing this one, but from what I've read and heard, it's classic DragonQuest gameplay the series is known for, using the same "updated" look and translations DragonQuest IV and V received. RPG fans definitely had plenty to play early this year! Speaking of RPGs, how could one forget this gem?!? Time-traveling RPG goodness with an incredible soundtrack, terrific pacing and an overall epic quest. This game also boasts one of the best localization translations from the good guys and gals over at Atlus. Those looking for another Chrono Trigger-esque adventure on-the-go, this is your game. Enjoy! Trackmania Turbo released in March this year, and delivers one of the best arcade-style racing experiences on the DS. The quick, pick-up-and-play, "time trial" races and course design fit the handheld to a "T." The game is a vast improvement over the 2008 release of the first Trackmania game, offering improved track editing tools, more challenges and online connectivity. Hey, what year of the DS would be complete without an entry not only from Nintendo themselves, but also from one of their biggest franchises ever? Developer Game Freak made a huge game for Pokéfans, with an epic quest (that doesn't overstay it's welcome) tons of post-game content, tons (tonnes?) of new monsters, abilities, and more. 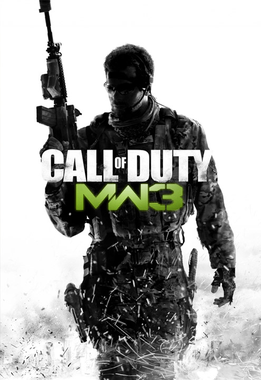 The game even fully embraced the online mode, with global tournaments and events. It's pretty amazing how much stuff they were able to uh... stuff into this game. Anyone claiming Nintendo no longer makes games for gamers obviously hasn't played this amazing entry in the long-running series. Ah, the sequel to one of the best PS2/Wii games out there: Okami. In a year without a new handheld Zelda, Capcom steps up to the plate with a fantastic action/adventure game with stylish cel-shaded graphics, an epic quest, and great usage of the touch-screen. I remember dreaming of an Okami game coming out on the DS, back in 2007. It just seemed too perfect, y'know? Well, it took a while for this dream to come into fruition, but hey. Good things come to those who wait! Developed by DreamRift, a studio created by alums from the Henry Hatsworth team, Monster Tale hits the DS with a wonderfully charming action-adventure platformer, mixed with a kind of virtual pet simulator. 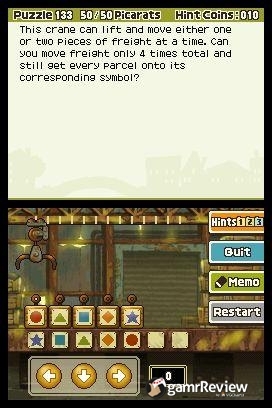 The blending of these two genres makes this game one of the most unique and enjoyable pieces of software not only in 2011, but in the entire DS library. "Metroidvania" progression, Mega Man-esque action, and the unique twist make this an excellent choice for any action game fan. Another racing game nitrous-boosted it's way into the DS library this year, from acclaimed developer Renegade Kid. This game is a far stretch from what the developer is known for (moody FPS games) but this turned out to be a fairly decent arcade racer, with plenty of tracks, unlockable ATVs, and a rockin' soundtrack by the developer's own band! 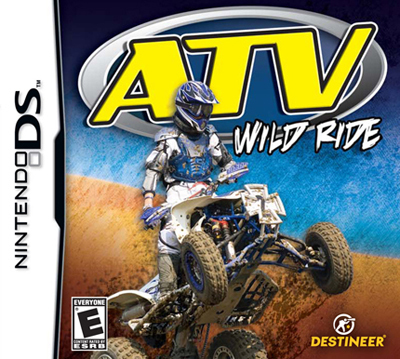 It's not the best racer on the system, but Nintendo Power acknowledged that it's the best ATV racer on the system. So there's that. 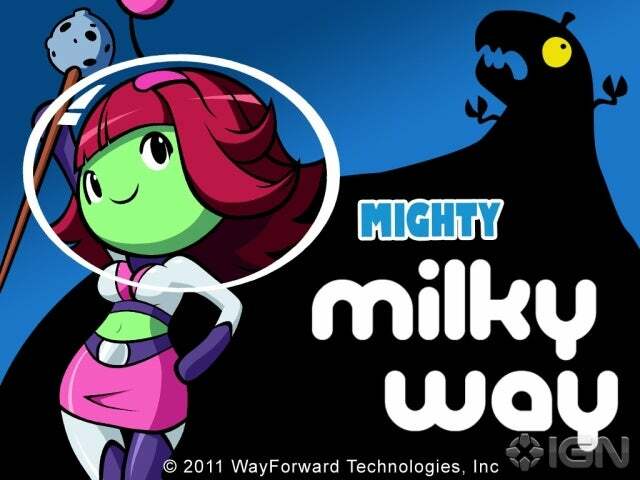 I realized I should have mentioned this game as well - Mighty Milky Way from the good folks at WayForward. It's not a retail game - it's exclusive to the DSiWare shop. 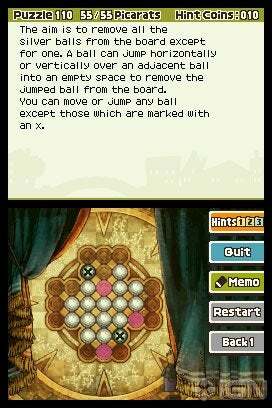 But it's a fun, quirky game and one of the better games available for download on Nintendo's handheld. And so far, the only one released this year on the online shop that's *really* worth your cash. Check it out. If nothing else, it'll help you unlock stuff in Shantae: Risky's Revenge! So yup, the DS has been amazing, and it's not gonna be stopping anytime soon. Will 2012 be the final year of the DS? Only time will tell, but from the look of things now, the DS is alive and well in 2011. As a gamer, this gets me excited thinking of all the great stuff that has yet to be played, and as a bit of a DS fanboy, this makes me feel all warm and fuzzy inside. As a consumer though, my wallet groans. Thoughts? Opinions? What are you looking forward to from the DS? Do you still play yours? Why or why not? Sound off now, Negative World! Has NEW Super Mario Bros. Wii damned Mario from ever flying in 2D again? ...seriously though, it's been an awesome year for DS. Just finished Okamiden last night! Reminds me I still need to get Ghost Trick. 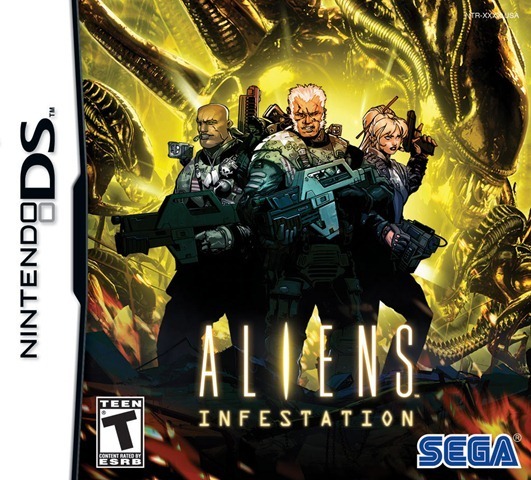 We're also getting an Itadaki Street (finally) and Aliens Infestation. And Solatorobo is so good, man. I can't wait to play it in English. The DS just doesn't want to quit. It's bananas. Yeah... how can you forget Radiant Historia? Shame on you. One of the best games on the system for sure. Cool. Keep posting these DS games I should be looking at. Since I only owned a DS for a year or so and then sold it, I only experienced a couple games. Now that I have a 3DS, I can play all the great DS games I missed. That first game actually looks pretty cool! And I don't think the DS should quit. Just cause the 3DS is out, doesn't mean the DS has to roll over and die. Actually, I think the 3DS is going to be a slow mover and take a while to really build up a large fanbase. THe DS is going to be like the PS2 but even better. No reason for Nintendo to stop making the DS or even stop making games for it. Though I am sure most of the support will come from 3rd parties. Radiant Historia's a GOTY candidate. Easily the best game on a Nintendo system this year (not that there's THAT much competition, at least yet). I'm not surprised. The GBA was still going strong even after the DS launched. It only really died off once the DS' lineup really picked up. I mean the GBA had a pretty great swan song lineup too. Woot woot! The DS is the handheld I will be playing for at least the next year until Nintendo gets their act together with the 3DS. So keep rockin' DS! Updated the OP with some obvious titles that were accidentally not included. Definitely, the GBA didn't go down very easily either! Don't forget the way-better-than-it-should-have-been TMNT game from Ubisoft, and of course Final Fantasy V Advance, and Final Fantasy VI Advance from our buddies over at Square. All three came out post DS launch. Wait a minute, what's going on here? 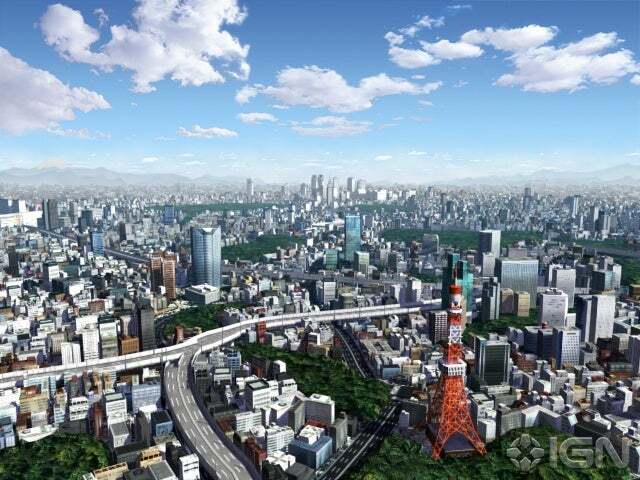 Is the location in Devil Survivor 2 an *actual place*?!? Well, sure. The first one took place in Tokyo too. That's Tokyo Tower. It's modeled after the Eiffel Tower, though it's bigger. Has two observation decks, an aquarium, a ton of shops and eateries and some kind of playground on the roof. The hotel I stay at with the tower in the back ground. The hotel from the tower's topmost deck. @GameDadGrant You didn't know that!? Same with The World Ends With You. I can see the DS getting quality support well into 2012, and maybe even 2013. As far as I can tell, you won't see the 3DS selling more than the beast DS until sometime next year. Cool! ... for some reason, that second pic looks like a bird's eye view of a Pokémon battle arena, lol. I'm sad that the DS never got the 2-D Metroid it deserved. Yeah, the DS has seen some good games this year, although they've been spread a bit thinly. One fantastic surprise for me was Aliens. A super-promising game that just came out of nowhere. It's the kind of thing that also used to happen on the Wii! Is Itadaki Street DS coming over? It's just the new Wii one, right? The PS2 is STILL being supported, and its only the #2 console sold ever! I can't imagine ANYBODY not considering bringing some lower-budget original conept to the DS. After all, what's good for the DS is good for the 3DS, too.